FRANCE: Following a long wait, the French Agency for Biodiversity (AFB) has backed Engie's 496MW Dieppe-Le Tréport project, off the Normandy coast, but "with reservations". The AFB is involved because the project zone – selected by the government – lies partly within a marine nature area. 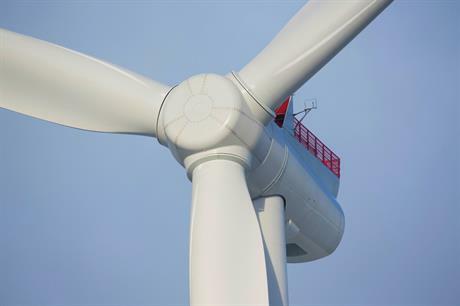 This means 20 of the 62 Siemens Gamesa Renewable Energy (SGRE) 8MW turbines planned by the Engie-led consortium Eoliennes en Mer Dieppe-Le Tréport (EMDT) were due to be installed in the protected area. "It is a very important step because it is a binding decision," said Bruno Hernandez, project director of the consortium, which was awarded the project by authorities in 2014. Last October, the marine area's management gave a negative opinion based on the potential environmental impact. Although only consultative, it was anticipated that the AFB would confirm the finding at a meeting first slated for November and then postponed. This was partly to take into account proposals put forward by EMDT to address a long list of recommendations, including additional monitoring and impact studies. EMDT proposed further modifications, most notably to avoid pile-driving work during the four months' principal breeding season for marine life, and to increase the turbine hub height by 15 metres to reduce the risk of bird deaths. This will cut the collision rate by 50% or more, Hernandez claimed. Further, the consortium will review the use of sacrificial anodes in anti-corrosion measures in order to cut the amount of heavy metals dissolved in the water by at least 50%. It will also increase the budget of the Scientific Interest Group to €8 million, up from the initial allocation of €650,000. This independent body will monitor the implementation of the mitigation measures and carry out additional research on the marine environment in general to the benefit of all stakeholders, Hernandez explained. As a result of these modifications, EMDT has made "significant improvements" to the project, the AFB found, while at the same time listing a number of reservations broadly covering the need for additional impact studies. Further details will be announced shortly. While EMDT is breathing a sigh of relief, there is still a long way to go. Next up is the public enquiry, expected later this year, followed by submission of permit applications. In the meantime, the priority for EMDT is to continue working closely with the park authorities and local fishermen, who are largely opposed to the project. "Acceptability is key," Hernandez noted.